Looking for pleasant and comfortable accommodation with an ideal location close to the city centre with all the tourist attractions? Then the City Club Aureli Hotel is perfect for you. 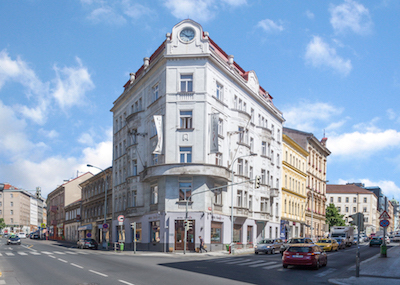 It is located in Prague’s New Town, just a 15-minute walk from Wenceslas Squarw boulevard and 5 minutes from the underground station. 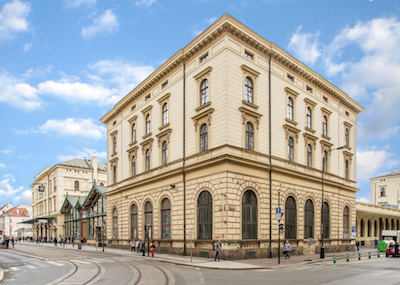 You will enjoy the pulse of the city and be surrounded by history at every corner. 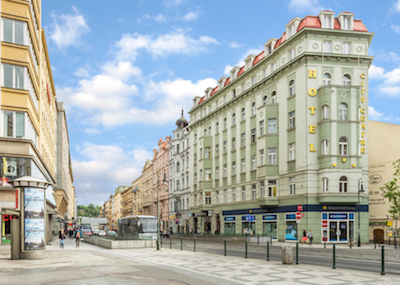 All 106 tastefully decorated rooms are equipped with all the comforts you will need for a pleasant stay in Prague. The comfortable beds will embrace you warmly, anytime you need a break from the entertainment, shopping and tourist attractions, which are countless within the vicinity. Thanks to the nearby I. P. Pavlova underground station, you have all the attractions at your fingertips. The picturesque and romantic Prague is best enjoyed when you start your tour at the Vltava River. Walk through the Old Town, watch and listen to the famous astronomical clock and go across Charles Bridge and head to the majestic Prague Castle. You can also discover Letná or Vyšehrad. Don’t want to go far away? 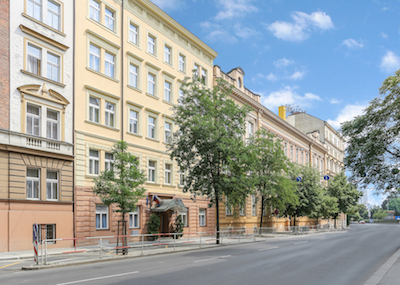 Take a journey to Vinohrady, which is right around the corner from the hotel. 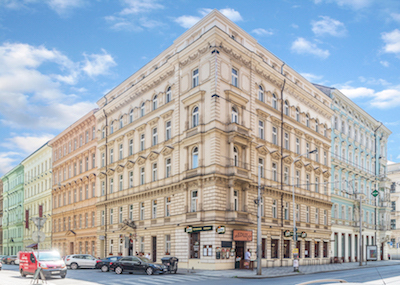 The hotel is a 10-minute walk from the tram and metro station called I.P. Pavlova. Tasty breakfast buffet, rooms are small but pleasant and have their own bathrooms and showers, keycard locks. 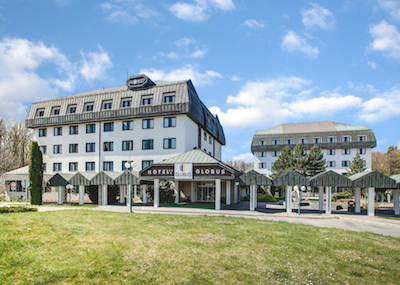 The room was tidy and clean, the staff friendly. I can recommend it. Jan C.
We chose a hotel in the price range for a family. It was December, the room was warm and there was plenty of hot water and clean towels in the bathroom. A clean room with a TV, a good buffet breakfast and free Wi-Fi throughout the hotel. 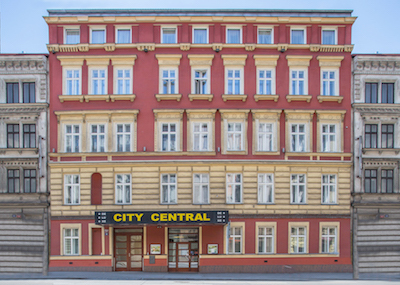 A comfortable accommodation close to the center of Prague for a reasonable price. Elene A.
I visited Prague in June along with twenty friends of mine. 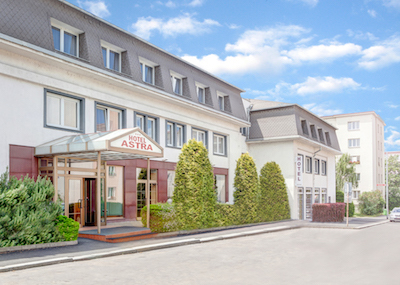 We chose this hotel because of its affordable price and excellent location close to the centre. The rooms met our expectations as everything was clean, the breakfast was varied and moreover, all of the city sights were within easy reach on foot. We were satisfied and would gladly come back! Matthew S.